It features over 75 speakers, including Edith Ramirez, chairwoman of the Federal Trade Commission, Mike Janke, co-founder and CEO of Silent Circle, Jim Dempsey, member of the Privacy & Civil Liberties Oversight Board, and many more. Not only is the conference informative, but it’s often challenging—forcing me to reconsider my own “take” on certain subjects. This year Terence is a panelist. He, along with Chris Babel, CEO of TRUSTe, Fatemeh Khatibloo, Principal Analyst for Forrester Research, and Anne Toth, VP of Policy and Compliance Strategy at Slack, will discuss the Information Revolution and the Evolution of Privacy and Identity. Coming at the topic form such diverse backgrounds, I am sure that this speaker roster will have much to say on the topic! I will be a moderator for two panels: Smart, Fast & Connected: How the Internet of Things is Disrupting Data Collection (featuring Jaap-Henk Hoepman, the Scientific Director of the Privacy & Identity Lab, Nandini Jolly, the CEO of CryptoMill Technologies, and Plamen Nedeltchev, a Distinguished Engineer from Cisco Systems) and The Impact of Emerging Technologies on Civil Liberties (featuring Catherine Crump, an Assistant Clinical Professor of Law at UC Berkeley School of Law, and Jonathan Mayer, a Graduate Fellow at Stanford University). After chatting with the panelists, I am sure that these topics will generate a number of insights on the issues surrounding digital privacy and identity in an increasingly data-driven world. Based on which analyst you believe, in 2020 the number of IoT devices are estimated to be between 26 billion and 50 billion. More importantly, only 7.3 billion of those devices will be objects that you directly interact with: your smartphones, tablets, and PCs. The U.S. has surpassed London as the gold standard for video surveillance. Cities like NYC, Boston, LA, and Chicago have invested in systems that mashup data from a variety of sources—video cameras, license plate readers, 911 calls, and other data sets. For example, in Los Angeles, “sophisticated camera systems read license plates and record the time, data, and location a particular car was encountered.” This system can scan up to 14,000 plates in a single shift and it is believed that every car registered in Los Angeles County (all 7 million of them) has been scanned 22 times—totaling up to more than 160 million data points. On Tuesday, I am heading out to my old stomping ground, Palo Alto, California, for the conference. I hope to see you there but if not, conference videos are usually available on the pii 2014 site a week or two after the event. 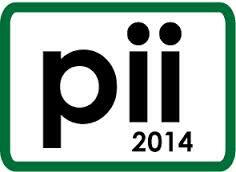 And you can always follow what’s happening at the conference by following @pii2014 on twitter or #pii2014. Entry filed under: big data, General Analytics, Privacy and Big Data. Tags: data privacy, data security, pii2014, Privacy and Big Data.